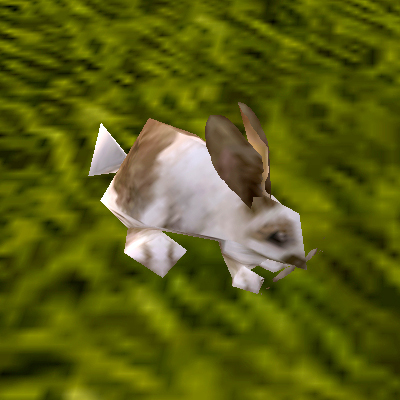 It's springtime in Azeroth so what better pet for Pet of the Month than the Spring Rabbit — just in time for Noblegarden! This adorable brown and white bunny can be obtained during Noblegarden, an in-game holiday that occurs annually and lasts for seven days. You can purchase the Spring Rabbit for 100 Noblegarden Chocolates (looted from Brightly Colored Eggs), or if you're lucky, find the pet hiding within a Brightly Colored Egg. The vendors and eggs can be accessed throughout all level 5 starter towns during Noblegarden. In the spirit of an Easter Egg Hunt, the eggs will often spawn in nooks and crannies, sometimes making them tough to spot. Be sure to keep your eyes peeled for these brightly colored eggs because it's first come, first served. Once learned, the Spring Rabbit becomes Uncommon quality. It's tradeable and you can have up to three in your Pet Journal, so collect away! Among all the rabbit pets, the Spring Rabbit takes the cake (or carrot) for being the most lively. It will hop around while idle, often traveling a fair distance from the player before bounding back with a giant leap. This pet is also the most prolific and will "mate" with any other Spring Rabbit that's nearby. Despite a soft, cottony exterior, the Spring Rabbit has a lot of utility as a battle pet. This Critter is among the fastest pets in the game, so in nearly all the matchups you come across, your Spring Rabbit will go first. If that's not fast enough for you, you can use the Adrenaline Rush ability, which almost doubles that incredible speed for a couple turns. The Rabbit's favored moveset drops Adrenaline Rush in favor of an avoidance combo featuring Dodge and Burrow. Using the two together mean that there are 3 rounds out of every 5 that your bunny isn't taking anything but previously applied DoT damage. It is surprisingly deadly, and rather irritating to PVP against. Most moves your opponent tries will glance off harmlessly while you slowly whittle down their health. If you don't need your bunny to absorb a ton of damage, Stampede is one of the best moves out there for PVE synergy, especially in single-pet fights. Stampede applies Shattered Defenses, a 2-turn damage multiplying debuff which works really well with nearly any other pet. It can apply that double damage to either of the Rabbit's other 2 offensive moves, Scratch and Flurry. Scratch is a straightforward dps move, but Flurry has a bit of an interesting twist. It hits several times, with an additional hit if your pet is faster. As previously discussed, your Spring Rabbit is nearly always going to be faster, making this the preferred move for the first slot, with a big Unless. If you're up against an opponent using a damage absorbing shield like Stoneskin, both Stampede and Flurry will be completely absorbed, making this a risky combo to take for PVP. The biggest punch you pack in using a Spring Rabbit is the Rabbit itself. It's a lot of fun to go up against legions of undead, creatures made of fire, and even dragons, and watch them get mowed down by a loveable little ball of fluff. Check out our forum thread discussion on the Spring Rabbit and submit your own thoughts on this pet. 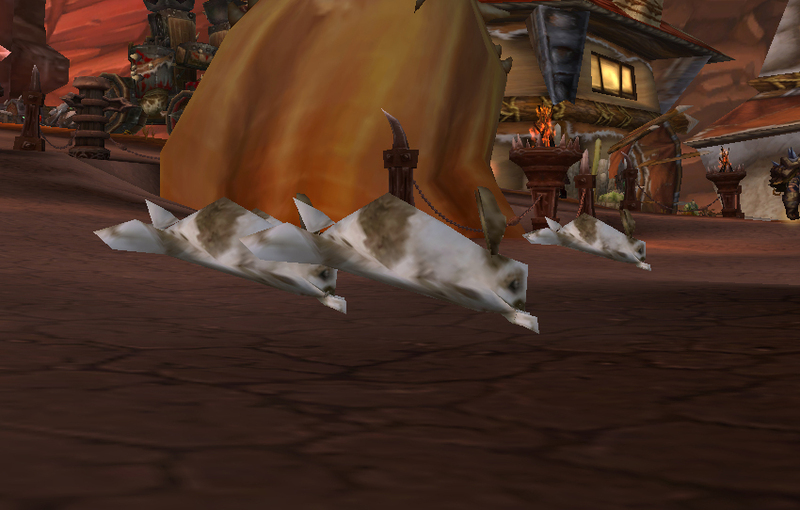 Pet of the Month is co-written by Liopleurodon, an experienced pet battler and long-time WoW player. She maintains her own Pet Battle blog, comprised of pet analyses, team strategies and general thoughts on pets.